Almost time for the big reveal! I’m so excited because tomorrow is the day we will find out if Baby P is a boy or a girl!! We have our ultrasound in the morning, then we’ll do a small gender reveal party for our families in the evening. We’ll let the rest of the world know sometime after that. 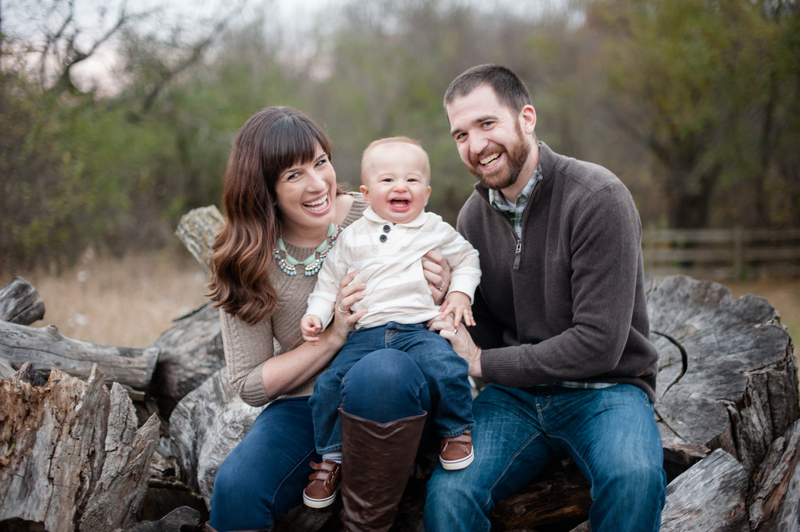 Geoff, Henry and I are so happy to announce that we are expecting Baby #2! 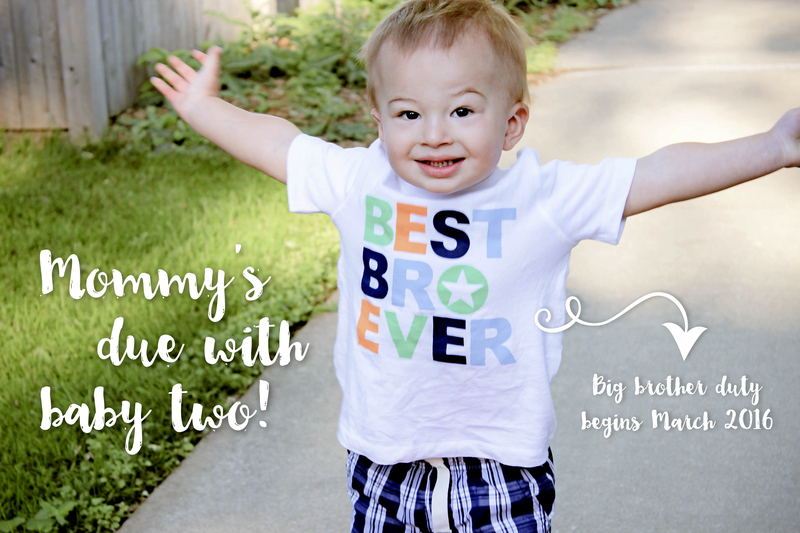 Henry is very excited to be a big brother, and we can’t wait to be a family of FOUR! I’m currently 14 weeks along (hello, second trimester), but here is the sonogram from a few weeks ago at our 8 week appointment. For the record, that’s a baby, not a shrimp. 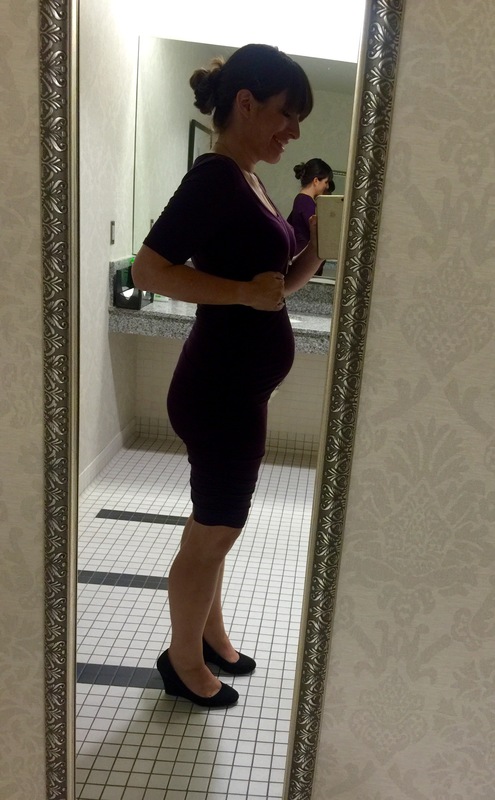 So far my bump has been much more prominent than last time (click here for a comparison to 15 weeks with Henry). 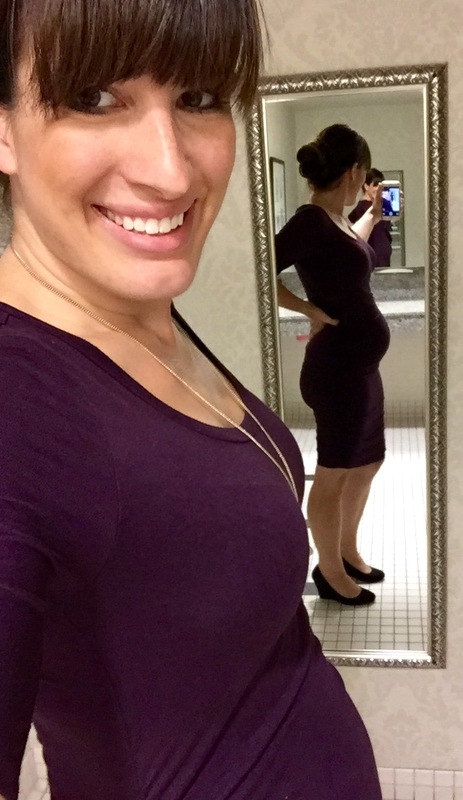 I haven’t taken many bumpies yet, but below are a couple from 13 weeks. I’ll add them here as we go so you can see them all in one spot. The ones from when I was pregnant with Henry are still up there, too. So that’s the big news!! I’m way too busy with Henry to post weekly like I did last time (I mean, c’mon – I can barely keep up with the monthly posts), but I’ll do my best to post updates and new developments. Thanks to everyone who has sent us love and well wishes! 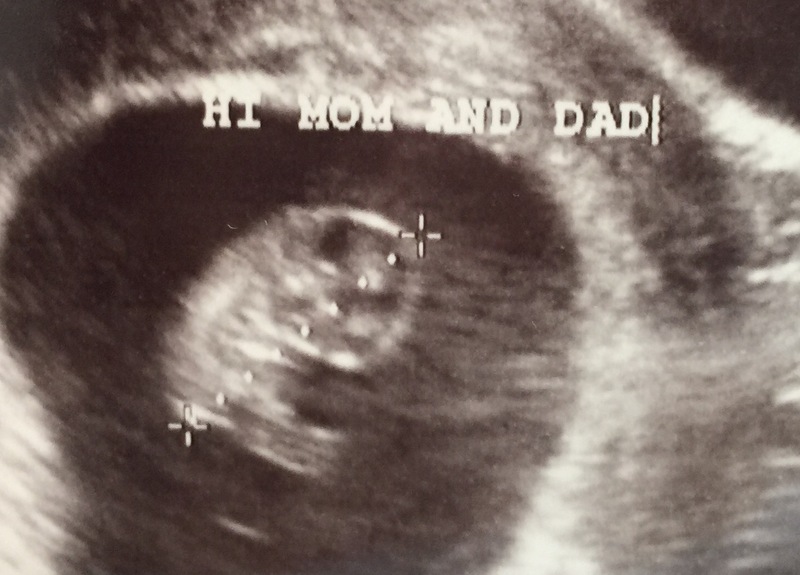 Baby #2 is due March 22, 2016. Things I like: My favorite game is when mommy and daddy chase me and try to “get” me. I run away really fast but then I let them catch me because they tickle me and it is really fun. I also really love to shake maracas! Daycare has a maraca and I love it so much that I don’t let anyone else play with it. I was really happy when I woke up this morning because mommy and daddy gave me my very own maracas for my birthday! But even though I really love my maracas, I still love Bear the best. P.S. Mom, I can tell the difference between Bear and that imposter Bear you got me for where when real Bear has to go in the wash. Things I don’t like: Putting on my winter clothes. Mommy and daddy say I have to wear my hat, mittens and coat to stay warm when we go outside, but I don’t like them because they make it hard for me to move around and play with toys. I look pretty cute when I’m all bundled up, though. Things I like: Trying new foods (bananas are my favorite!) and feeding myself my bottles. I also really like being outside and being able to wear shorts and be barefoot so I can chew on my toes. Things I don’t like: Getting my nose wiped (I had my first cold this month) and being on my own for more than 1.2 seconds. 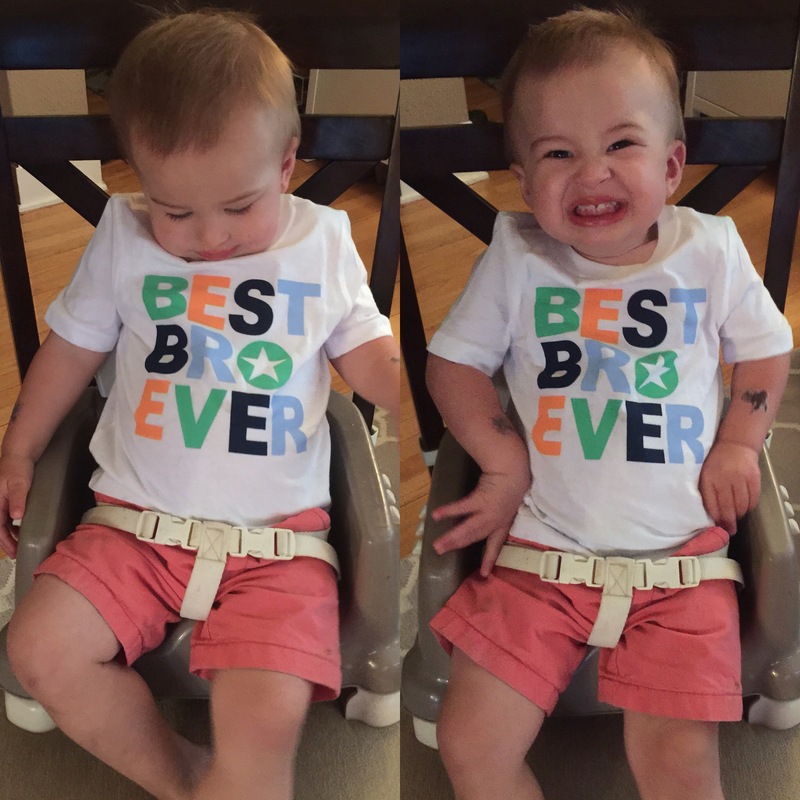 Milestones: I rolled over for the first time and I’m sitting on my own (but I still tip over sometimes). I also got to go to the zoo and rode on a boat for the first time this month!